Choosing eco-friendly holiday accommodation can be a great way to feel great, not only about your holiday but about where you are staying too. If you care about protecting the earth and want to minimise your carbon footprint then it makes sense to stay in eco-friendly and preferably carbon neutral accommodation. Recent research such as the 2013 Trip Advisor survey shows that a large proportion of holidaymakers consider eco-friendly credentials when choosing where to holiday and their travel plans. 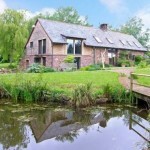 More and more holiday cottage providers are offering green, eco-friendly holiday accommodation, designed with the eco-conscious traveller in mind. Want to Go Green yet want Luxury Too? Think of eco-friendly accommodation and some holidaymakers will have concerns that this means going without those things that so many of us take for granted nowadays like electricity available 24/7 and a plentiful supply of hot water. These preconceptions may have at one time had some foundation but things have moved on now and going green no longer has to mean roughing it. For example, it’s possible for the green conscious traveller to stay in 5 star gold award winning accommodation where you can be assured of a high standard of comfort and luxurious accommodation. Technologies have advanced which means that staying in eco-friendly holiday accommodation doesn’t have to mean compromises that you just don’t want to make. However, if you prefer more rustic living then there are options for you too like simple cabins or Shepherd’s Huts where there is no electricity and you can have the fun of a camping type experience and getting back to nature. Whether you want to stay in holiday accommodation with solar-powered heating, its own water source or a renewable energy source, there is a fantastic choice of eco holiday houses out there. Stay in farm-stay accommodation and you may also be able to benefit from lovely little extras like free farm eggs and milk where you can really feel like you’re living the good life. 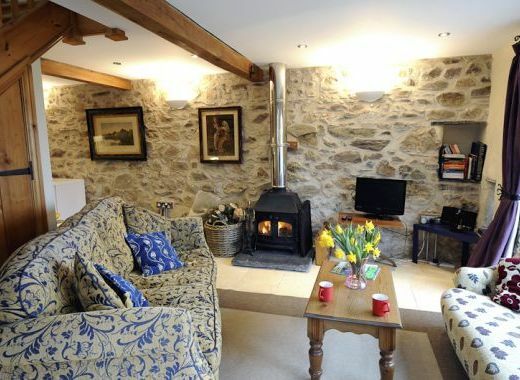 This article is courtesy of Country Cottages Online who offer a range of green eco-friendly accommodation.